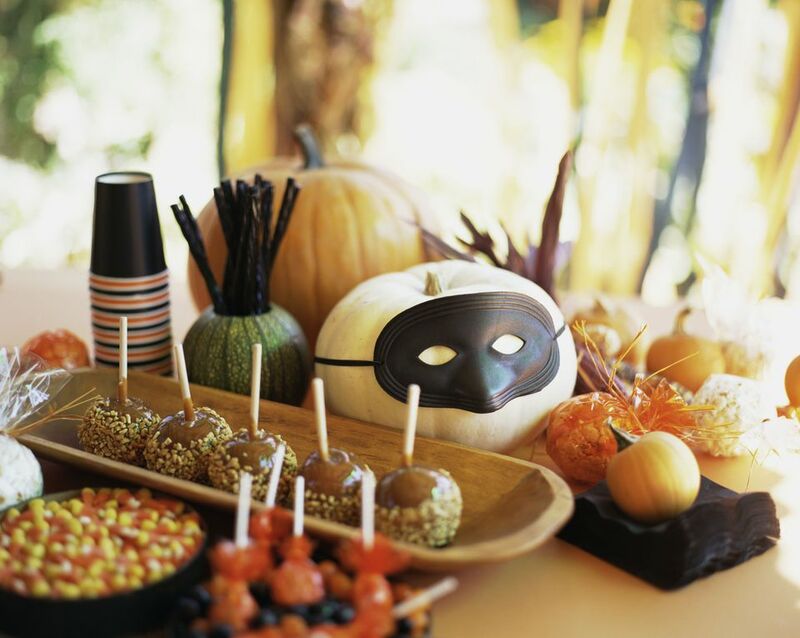 Halloween might not be the first theme that you considered for your baby shower, but it can be a great way to have fun and do something very different. It is not every day that you get a chance to combine the zaniness of Halloween with the joys of celebrating a new baby. A Halloween baby shower theme lends itself nicely to a co-ed baby shower, though this is only one option. You could certainly have a baby shower with a Halloween theme and not have it be co-ed at all. That is completely up to the hostess and the mother-to-be. It's important to note that having at least the mother-to-be dress up in some sort of costume will really help sell this theme to your guests. This doesn't have to be very elaborate, but something fun! Consider labeling your dishes so that people can enjoy your puns! For other, non-Halloween related food ideas, take a look at these healthy pregnancy snacks for the mom to be. For a ladies only shower, consider using invitations in the shape of or featuring ghosts for a fabulous "Ghoul's Night Out"
Take things that represent "gross" things about pregnancy and babies and put them in diapers. Have guests feel inside the diapers to decide what is what. Pass each diaper out and have guests write what they think it is, most correct wins! Winner is the person who gets the most! Winner is the person who gets the most right answers! Adding a little movement to your games will keep everyone awake and is good for the star of the show. Physical activity during pregnancy may have long term positive benefits on the baby. Ready for Your Baby Shower? Once you've planned the games, the food, and more, what is left? You may want to review proper baby shower etiquette and how to have a baby shower if kids will be guests. Finally, on both a serious and humorous note, check out the things that moms-to-be fear most at baby showers. Ferrari, N., Bae-Gartz, I., Bauer, C. et al. Exercise During Pregnancy and its Impact on Mothers and Offspring in Humans and Mice. Journal of Development Origins of Health and Disease. 2017 Aug 7. (Epub ahead of print).